1909 franked with. postcard with superb print cancel. K.u.K Feldpost (Field-Post) - Branch office No.12/ 8.IX.09, addressed to to Hungary, color postcard saw-mill in/at Boskovice. Without damage. 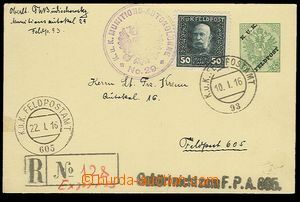 1916 Bosnian PC with overprint K.u.K Feldpost (Field-Post), Mi.FP2, sent as Reg and Express, uprated with stamp FP 50h, Mi.FP38 cancelled FP-postmark 93/ 10.I.16. Supplemented with FP cachet cancel. K.u.K Munitions - Autokolonne No.29. Důstojnická correspondence! Decorative! 1915 letter as printed matter, franked with. stamps FP Mi.22 and 23, to Bohemia, CDS Etappenpostamt "and" NOWORADOMSK/ 15.XI.15 + three-line censorship mark in red color, wrinkled margins and corners, after all interesting. 1916 2 pcs of Albanian PC (Mi.P5, P6) used as FP card, CDS FP 315 and 336, supplemented with FP cachet and censored postmarks. 1x PC with stain, otherwise without defects. 1916 2 pcs of Albanian PC (Mi.P5, P6) used as FP card, CDS FP 336 - incomplete print, supplemented with FP cachet and censored postmarks. good condition. 1917 green round coat of arms' postmark Country přidělence in/at Dobrudži on Ppc Konstance sent to Timişoara. Superb. 1915 Italy 3 pcs of Ppc (Genoa) from war prisoners addressed to Bohemia, Italian and Austrian censorship, supplemented with postmarks Red Cross. Nice print cancel., 2 postcard with značnými stains. 1918 Bosnian PC 5h franked with. two stamps. FP 2h, Mi.23 with CDS Etappenpostamt Bos. Petrovac 31.XI.16 - incomplete print. abraded corners PC. 1917 K.u.K Etappenpostamt Durazzo (Durz)/ b/ 14.IV.17 (Albania), nice postmark on FP card, supplemented with FP cachet and censorship postmark. Rainer 200 pt. 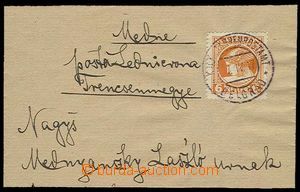 1917 K.u.K Etappenpostamt Durazzo (Durz)/ b/ 17.IV.17 (Albania), nice postmark on FP card, supplemented with FP cachet and postmark. Rainer 200 pt. 1915 K.u.K.. LUFTSCHIFFERABTEILUNG (Aeronautical Division) / AIRCRAFT COMPANY No.8, light violet print two lined postmark + CDS Navy Field Post POLA/ 30.V.15, FP card, good condition. 1915? K.u.K.. LUFTFAHRTRUPPEN/ Balloon unit No.20, incomplete light imprint two lined postmark in black color + incomplete CDS FP č.?/ 7.VIII. ?, worse condition, to examination, postcard from Przemyšle. 1916 1x K.u.K.. Luftfahrtruppen - Fliegerkompagnie No.16, round violet with eagle + CDS FP 606/ 15.VI.16, good condition. 1x ditto postmark red, worse print + CDS FP 606/ 26.III.16 on/for autentic photograph from trenches. 1916 K.u.K.. Luftfahrtruppen/ Fliegerkompagnie No.16, two lined, blue + CDS FP 606/ 15.I.16., color postcard biplane letícího above riding jednotkou, good condition. 1916 K.u.K Luftfahrtruppen / Fliegerkompagnie No.16, blue straight line postmark supplemented with FP-postmark 606 from 11.I.16. Nice print, good condition. 1916? K.u.K.. LUFTFAHRTRUPPEN/ FLIEGERETAPPENPARK (Aircraft Base Park) 2, violet two lined postmark + violet ZENSURIERT + partial illegible CDS, good condition. 1916? K.u.K.. LUFTFAHRTRUPPEN/ Fliegeretappenpark (Aircraft Base Park) No.3., violet two lined postmark, partially overlapped CDS FP č.511/ 19.I.? ?, good condition. 1917 k.u.k. (Imperial and Royal) Luftfahrtruppen/ Fliegerkompagnie 19, red-violet two lined postmark + partial CDS FP No.192/ 17.V.17, good condition. 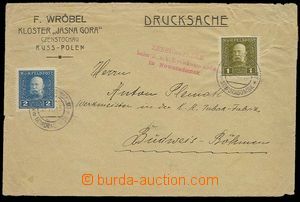 1917 K.u.K.. LUFTFAHRTRUPPEN/ BALLONABTEILUNG No.20, two lined dark violet postmark + CDS FP No. 408/ 17.V.17, interesting text, to examination. 1917 K.u.K.. Luftfahrtruppen/ Fliegerkomp. Nr.32, two lined, violet + CDS Etappenpostamt 192/ 5.IV.17, good condition. 1918 K.u.K.. Luftfahrtruppen/ Fliegeretappenpark (Aircraft Base Park) 11, violet two lined postmark + CDS FP č.483/ 7.II.18, FP card on/for margins wrinkled and torn, to examination. 1917 2 pcs of photos from průzkumných flight with description cílů in Italy, military unit postmarks K.u.K Luftfahrtruppen / Fliegerkompagnie No.15, line also round with emblem. Without damage. 1902 AUSTRIA S.M.S. SZIGETVAR/ 19.2.02, round black postmark, postcard sent from New Orleansu, view of port with ships tamtéž, franked with Austrian stmp 5h, arrival postmark. ČERNÁ HORA/ 1.3.02, good condition. 1902 S.M.S. SAIDA/ 25.7.02, thin/light circular pmk, postcard Venice franked with Austrian stmp 5h, arrival postmark. Tábor 1/ 27.7.02, to examination. 1904? S.M.S. ARPÁD/ 20.4.04?, round postmark, postcard Smyrna franked with. combinations Austrian and Turkish stamps, arrival postmark. St.Peter in Sannthalu?/ 25.4.? ?, good condition. 1906 S.M.S. PANTHER/ 31.1.06, incomplete circular pmk K.u.K.. KRIEGS... view of ship Panther at the port in/at Sydney, according to text sent from Hong Congo, franked Austrian. stmp 5h, stains, to examination. 1909 S.M.S. ERZHERZOG FRIEDRICH/ 20.8.09, round violet postmark, postcard franked with. 2 Turkish stamps, part imprint Turkish post. postmark, very light fold in the middle, otherwise good condition. 1911 S.M.S. ERZHERZOG FERDINAND MAX/ 18.III.11, round postmark, postcard franked stamp. Franz Joseph. 5h, stain and hint of sticking, to examination. 1915-17 S.M.S. Eh. 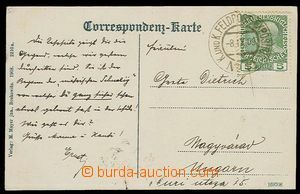 Friedrich, superb round censorship mark 27.Jun.15, CDS Pola, photo postcard from ship with additionally written text - Return Austria-Hungary loďstva from bombing Italian Ancony.